These handsome hand-carved stone soap dishes and oil burners are Fair Trade products made in India by an artisan cooperative. 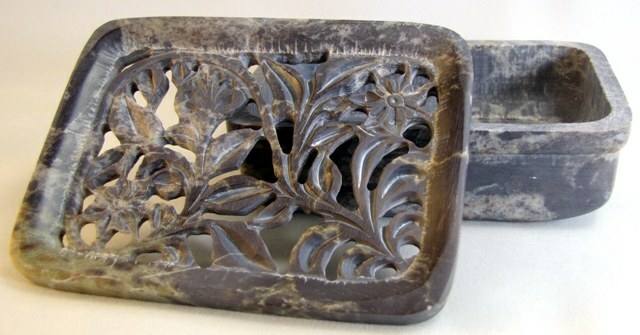 Soapstone is a relatively soft stone that can be carved into intricate designs. 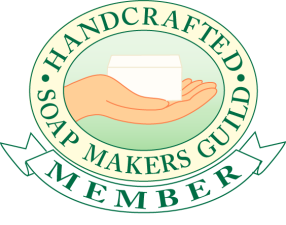 ​The open areas allow water to drain from your soap, while the removable top allows you to clean the dish thoroughly. Slightly flatter design than the other soapstone dishes, cut-out finger grips on either side to help lift off the top piece. 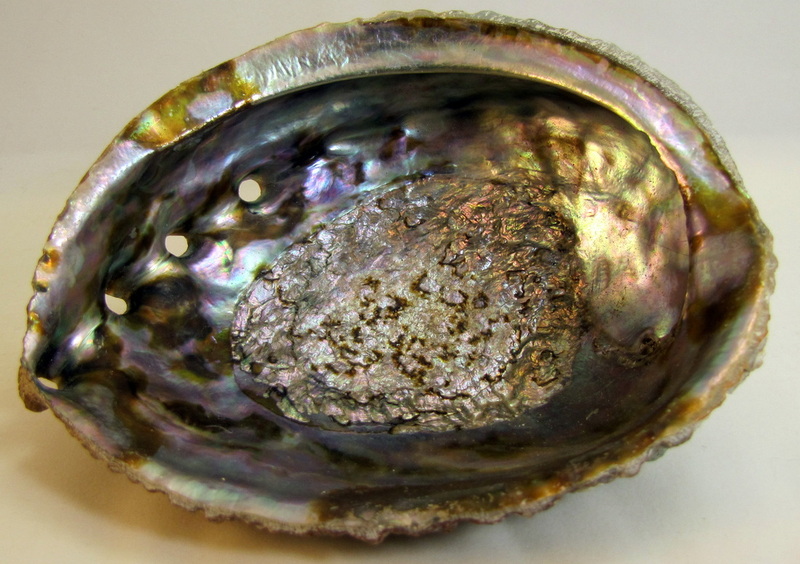 Colors vary - a few are light like this one, others are shades of gray or other natural stone colors. 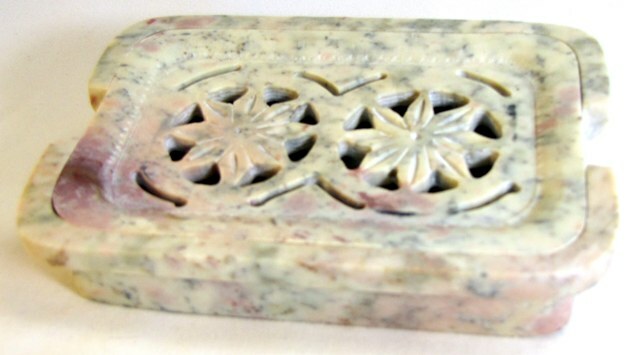 The most popular design in my soapstone soap dishes, this features an intricate design of vines and flowers. As with all of these soapstone dishes, the top comes off to empty out the water. This elegant dish is made of natural sandstone. The color can range from a solid pinkish beige to striking natural designs like this one. Every one is unique and I'm sorry that I can't hand pick them for you - each shipment is different. 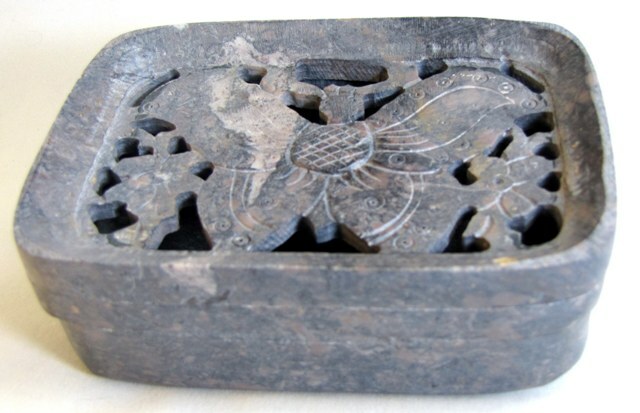 Another soapstone soap dish from India, with a stylized butterfly carving. The top lifts off for cleaning. Cons: Water drains through onto the sink counter. Will eventually discolor along join seams. Size: 4 1/2" x 3 1/4"
Diffusers are for burning essential oils to scent the room. 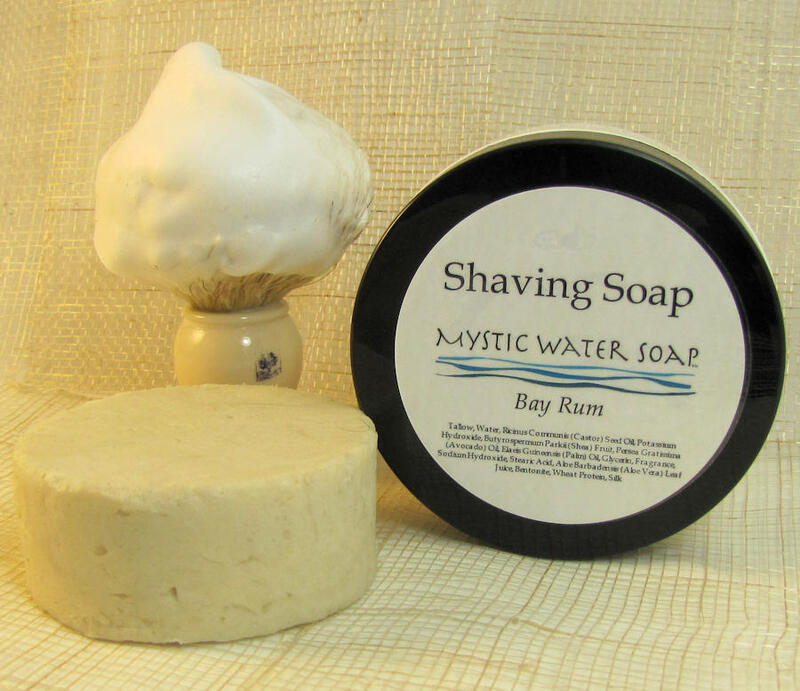 They are an efficient and attractive way to burn essential (or fragrance) oils for aesthetic and/or aromatherapy enjoyment. A few drops of essential oil in a small amount of water is ample to scent the room. A tea candle provides the necessary heat. ​These are a fair trade item from India, and are carved from soapstone. Colors may be different than those pictured.